How does pollution affect fish for sushi? It is not surprising that the pollution we send into the sea affects the species to a greater or lesser extent. 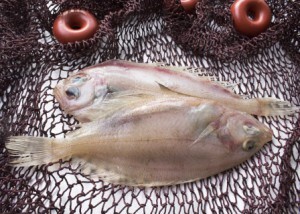 There are some areas in the oceans where there are fish that are of the finest finest quality. So there are also areas with contaminated fish. When it comes to fish for sushi you should always use the best fish. You must ask your your local fishmonger. He knows where in the world the fish he sells in stores has been caught. He is also aware that fish for sushi must not be with “ordinary” fish. All in all, the solution of course is not just catching healthy and tasty fish, it’s about as much to build up and do something about the pollution that ends in the ocean every single day. For otherwise it will just become a vicious circle. As individuals it seems inconceivable. We can each and every one make a difference to our own lives and our every day by thinking about the environment when making decisions that concern the environment.